Marinate the chicken thighs the night before with turmeric, coconut oil and salt. The next day, mix the finely diced onion, eschalots, chili, salt, grated ginger and a dash of cooking oil into a mortar and pestle and grind into a semi coarse paste. Fry the paste on medium heat until golden then rest the chicken pieces on top with skin down. Turn the pieces after a few minutes and repeat until fully cooked. 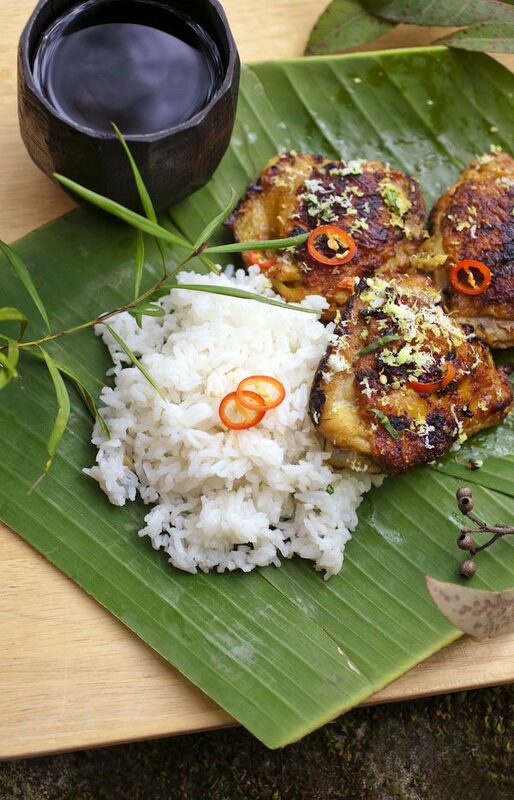 Grate some fresh coconut and lemon zest on the chicken pieces. Serve with rice and freshly chopped chili. This entry was posted in Mains, The DIshes and tagged ayam, chicken, eschalot, grilled, indonesian, panggang, turmeric. Bookmark the permalink.